We offer a wide range of business handsets, headsets and audio conferencing phones with various designs and features, so you can select devices that best suit the needs of your organisation. All offer excellence call clarity, ease-of-use and rich functionality, so your staff have the communication tools at hand for all customer care or business call. Choosing the right office phone or mix of devices always depends on the type of business you are and the individual working practices of your staff. Our team of industry specialists will use their knowledge and expertise to help you make the right choice. 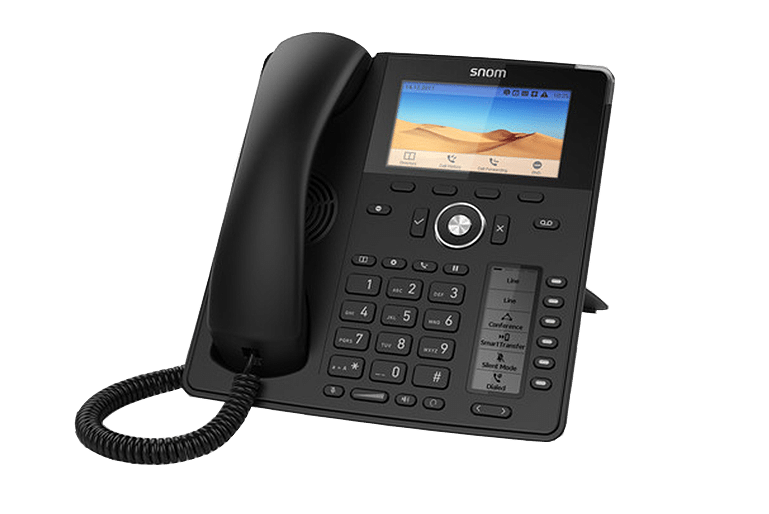 The range of Snom handsets possess gigabit ethernet switches for high-speed connectivity that meets the most demanding telephony requirements. All devices include an intuitive user interface with programmable function keys for the highest levels of versatility. Entry, enterprise and executive level IP handsets that are quick and simple to install straight out of the box. These full-feature and affordable devices have access to powerful phone applications. All have been designed to work with the FreePBX and PBXact phone systems. The 650H Pro cordless DECT handset is a IP65-rated dust and waterproof phone that is shock resistant. Compatible with Gigaset Pro IP base stations, it allows seamless phone calls when talking on the move. An ideal phone for workshops, factories, building sites and other tough working environments. All headsets are designed for maximum comfort and performance, so they can be worn all day while delivering HD sound and crystal-clear communication. Our flexible, wireless and cost-efficient conference call devices are suitable for professional companies of all sizes.